It’s the water and Paris..
As always it’s one the beautiful view of the water serenity. Canal Saint-Martin, favorite and best spot in Paris to get away and lost with water serenity, and “joie de vivre”. It’s the water flowing through the locks and brides of Canal Saint-Martin, to balance the different levels of canal waterways. Missed my city of light, if you’re there just go and enjoy this view in Autumn! A great sight I ran into on “Trust me, I’m a Traveler” site! 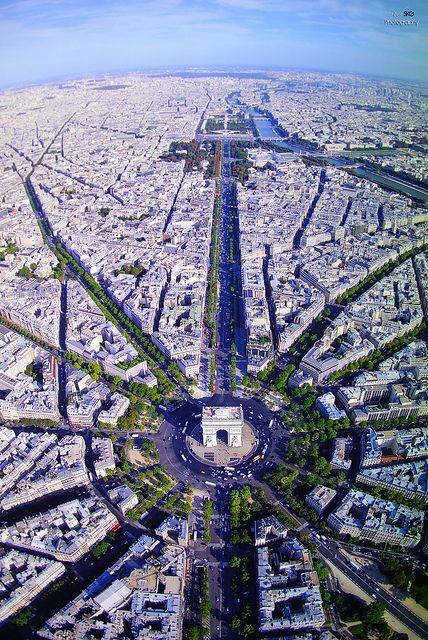 Especially to follow the Triumphal way in Paris, the historical monumental axis but actually a masterpiece of design! Triumphal way – Voie Triomphale– starts from Louvre’s Cour Carré to Arc de Triomphe via Champs-Elysees and then continues to La Defense in one direction, and going to Opera Bastille on the other.. There is a natural beauty in Paris, which ironically is actually consisted of a somewhat artificial symmetry. Wherever you stand, you’re actually linked somehow to the power axis, you don’t walk to see a monument, they just run into you while you walk by..and at any time of the day, there is a light show going on, whether with the clouds and the color of Seine, or the beautiful lighting of the city at night, reflections of the monuments on the Seine. Paris being really the city of light- La Ville-Lumière. Of course not to disregard that the original meaning of this term refers to Paris being the center of ideas during Enlightenment. Regarding my first experience of the power axis and the Triumphal way, and the story of how each monument was built so linked to each other following each governmental leader– Many thanks to David Downie and his book “Paris, paris – Journey into the city of light” ! Definitely a must read! Especially if you want to discover the real Paris; go through the city road by road uncovering the secrets with continious unknown stories, links and feeling as if in Paris in 1920s with Hemingway and the lost generation! 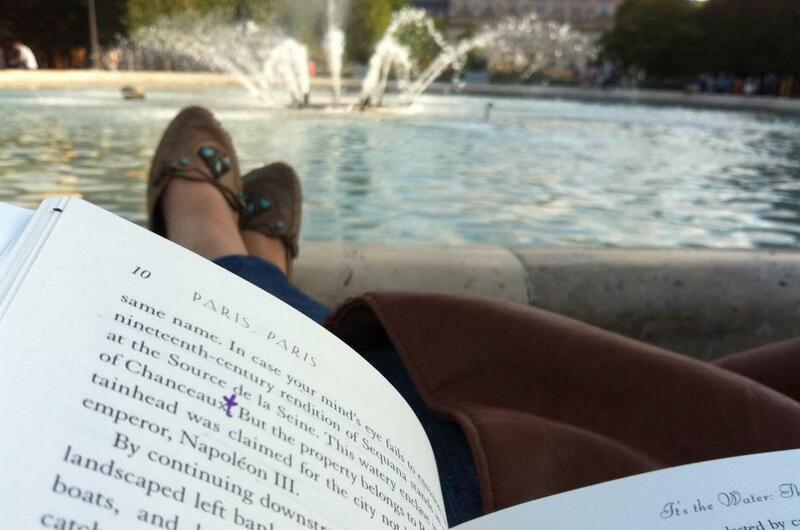 “Paris paris”, being the first book of my reading sessions in Jardin du Palais Royal, getting lost in the book and then in the roads, was the inspiration that initiated my continuous journey to secrets of Paris, and the world!